This week we have a puppy visitor who is keeping us plenty busy! She's a Havanese, just like Rocco, so the two of them are having a great time playing. We'll post some photos of the two of them tomorrow on our regular FitDog Friday post. 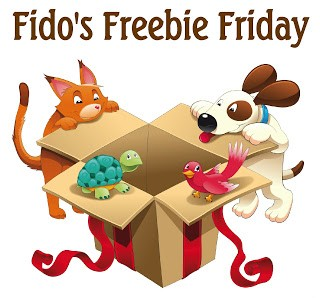 In the meantime, check out the Fido's Freebie Friday Blog Hop! You'll find all sorts of goodies in the giveaways listed below. You can enter them all or add your own! We make it easy by linking them up all in one place. Good luck to all. Have a fabulous Friday.